1. What type of business bank account are you interested in? As a small business banking can be expensive and difficult to find the right account for you and it is probably low on your priorities list. Finding a free business bank account is a great way to keep your costs down and if you don’t mind switching accounts you can continue to receive free banking by moving accounts every 18-24 months. This guide gives you the details for the best deals for free business bank accounts from the leading banks through to the lesser known providers. The table below gives a quick comparison of the top UK free business bank account providers. * The prices included here come from each company’s website and were accurate at the time of writing (February 2019) but may have since changed. Also, please keep in mind these may not be apples to apples comparisons as each provider charges different fees for different transactions. This guide should be used as a starting off point for more research on your part. Below we profile each company’s plans and features in a bit more detail. Some of the features and benefits of Lloyds Bank’s free business bank account. 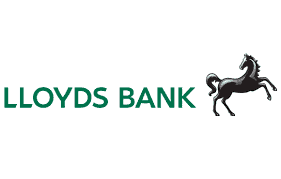 Lloyds Bank is part of one of the largest banking providers in the UK, Lloyds Banking Group, and the group is formed of Bank of Scotland, Halifax, TSB, and Scottish Widows. Lloyds Bank offers a free introductory day-to-day business account offer to new business startups. To be eligible the person opening the account needs to be a sole trader, partner or company director. Once the free banking period ends you will be placed on their standard business current account tariff which still offers free electronic payments, cash withdraws from a cash machine and paying by debit card. Monthly account maintenance fee is £6.50 after the free period. Some of the features and benefits of Metro Bank’s free business bank account. Metro Bank offers a different style of banking for businesses that do not operate 9 to 5 as they are open 7 days a week not just online or over the phone but in store as well where appointments are not needed. To take advantage of Metro Bank’s free banking offer you will need to keep your daily balance over £5,000 for every day in the month. If your balance goes below £5,000 the standard monthly fee of £5 will be applied to the account for that month. With this offer, you will also benefit from the first 50 transactions free although some transactions such as international payments, CHAPS payments and an Auditor’s Certificate of Balance are chargeable. Some of the features and benefits of Bank of Scotland’s free business bank account. Royal Bank of Scotland offers free day-to-day business banking to new customers switching to them for 6 months and new start-up businesses for 18 months. This includes most transactions. After the free banking period ends the account maintenance fee is £6.50, but you still get free electronic payments, cash withdraws from a cash machine and paying by direct debit. Their business bank account has a simple pricing structure and an online calculator to help you work out what the account will cost you once the free period ends. Royal Bank of Scotland also offers a range of other financial support for businesses such as loans, hire purchase, overdrafts, invoice factoring and charge cards. Some of the features and benefits of Yorkshire Bank’s free business bank account. Yorkshire Bank’s free day-to-day business banking offer is available to businesses who are wanting to switch their current account or to new business start-ups. To be eligible you must have a turnover below £2 million per year. New businesses must have been operating for less than 12 months. Most transactions are free but there are a few that are still chargeable which include international payments and CHAPS payments, and there are some limits on cash withdrawal and deposits. 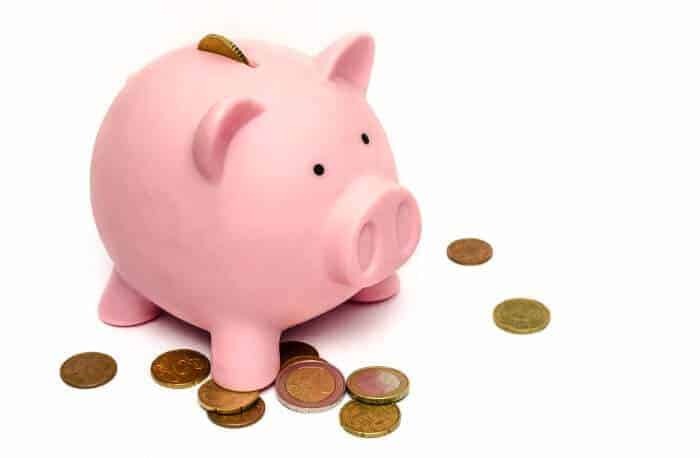 At the end of the free banking period, customers are moved on to the business banking tariff which charges a monthly account charge of £5 per month. All transactions occur a charge between 30p-£1.30. Some of the features and benefits of HSBC’s free business bank account. HSBC offers both new customers and new business start-ups a free day-to-day business banking period that lasts 12 months for new customers and 18 months for new business start-ups. All customers at the end of the free banking period are switched to their fixed price tariff which gives 12 months free transactions (excludes cash deposits over £3,000 per month) with a monthly account fee of £5.50. After this period, you will be switched to one of their two current accounts. The Electronic Banking Tariff is most suited to business who predominantly do business electronically. The Small Business Tariff is most suited to those that have more cash-based transactions. Every year HSBC will conduct an account review to check that you are on their best account tariff. Some of the features and benefits of TSB’s free business bank account. TSB offers 18 months free day-to-day business banking to both new customers and new business start-ups as long as the account stays within the agreed limits and does not go overdraw without prior arrangement. TSB participates in the Current Account Switch Guarantee which means that you should receive a smooth transfer between current account providers within 7 working days. They also offer a choice of business tariffs so that you can select the best tariff for your business. TSB state that they are a local bank with 550 branches across the UK and that the money invested with them stays locally as they do not deal in investment banking, overseas speculation or corporate finance. Some of the features and benefits of Cooperative Bank’s free business bank account. Cooperative Bank offers a free day-to-day business banking period to all new customers who operate within the rules of the account. To be eligible you must maintain a credit balance of a minimum of £1,000. The offer also limits certain transactions to a maximum of depositing 100 cheques per month, depositing £2,000 cash per month, and writing 30 cheques per month. At the end of the free banking period, you will be transferred to their standard Business Directplus tariff which charges £5 per month account maintenance fee. Switching your account to Cooperative Bank is simple as they have signed up to the Current Account Switch Guarantee service which will guarantee that your account switches over within 7 working days. Some of the features and benefits of Clydesdale Bank’s free business bank account. Clydesdale Bank’s free day-to-day banking offer for 25 months means that you will not be charged an account fee or service charge which includes direct debits, automated transactions, cash deposits and withdrawals up to £250,000. It does, however, exclude international payments and CHAPS payments. 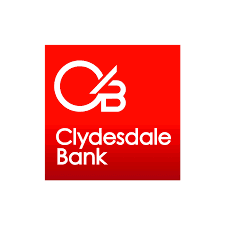 Clydesdale Bank has designed their business current account for small businesses who need basic account management to meet their everyday business banking needs. The account offers the full services of a current account with an optional agreed overdraft facility. Some of the features and benefits of Tide’s free business bank account. Tide’s business bank account is different to other business bank accounts in the market as it does not charge a monthly or annual account charge or subscription, its bank account is free, but they charge for some transactions. They operate a simple pricing structure and keep their charges low as they do not have the branches and multiple levels of management to pay for. Free transactions include card usage at home or abroad, and free transfers to other Tide members. Tide charge for sending and receiving money from non-Tide accounts at 20p per transaction. Cash withdrawals at cash machines at £1 per withdrawal. Cash deposits at Post Offices are charged at £1 per transaction and at PayPoints at 3%. Starling Bank offers a huge range of features for a free, no fee business account. And unlike many other accounts listed here their account remains free so long as your business has fewer than 10 employees and less than £1.7m in annual turnover. Moreover, unlike some of the accounts listed below they are a fully regulated bank which means that all eligible deposits are protected by the FSCS up to £85,000. Coconut is geared to smaller businesses and freelancers who need an all-in-one banking package. They offer not only a free current account but also tax, accounting and bookkeeping features as well. Just be aware that Coconut is not a bank and doesn’t have a banking licence, which means that money deposited with them isn’t reinvested or lent out. Deposits held with Coconut fall under the Electronic Money Regulations 2017. This means that any funds that are held with them are stored in a segregated, safe-guarded, ring-fenced account with Barclays Bank. ANNA stands for Absolutely No Nonsense Admin. This means you can have your free account set-up quickly, sometimes in as little as 10 minutes (assuming you have all your documentation ready). However, be aware that ANNA is a business current account and digital admin assistant, not a bank. Counting Up is geared towards smaller businesses who want not just a current account but also help with accounting and bookkeeping. You never pay a fee if you’re monthly incoming funds stays below £750/month. Counting Up is not a bank, however all customer funds are held securely in a segregated, ring-fenced Client Account at Barclays under the FCA’s Safeguarding Rules. Financial Disclosure: We may be paid a fee if you open a bank account with Cashplus via the link above or if you visit Know Your Money via a link at the top of the page.